Welcome to my Blogmas. Well the attempt of Blogmas at least! I want to do it one year and I feel though I have the busiest ever schedule at the moment that this could be my year! I start off with my update on the month of November because I had absolutely no time to do it at any time this week. My busy life has got the better of me this month with actual socialising, blogging behind the scenes and a ton of work. But let me tell you a little more about my crazy November. All this month I've been working until the last possible hours before bed almost every single day. I've barely blogged and the guilt is getting to me, which is why I am so determined to make up for it with a super fun Blogmas! I have had a couple of blogger events this month including the #BloggersXmas that, surprise surprise, I haven't blogged about yet and a cool one with John Lewis just yesterday! I've also been getting a little crafty this month and enjoying the great outdoors. 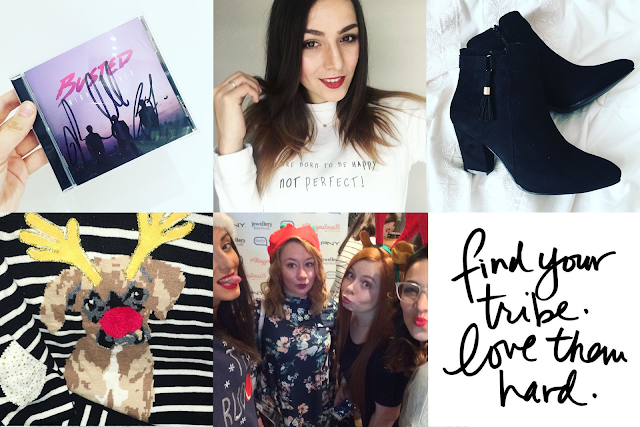 I won't go too into the #BloggersXmas event because I want you to read that. But it was fun and I got to meet up with the gang who I feel like I've got a deeper love for since the event! #twoportugueseagingerandasmurf! #longesthashtagever. And I also attended the #JohnLewisChristmas event yesterday. I KNOW. JOHN LEWIS. As you can see, I defaced Buster the Boxer but he's still looking pretty cute and I cannot wait to wear this out in public ♥! 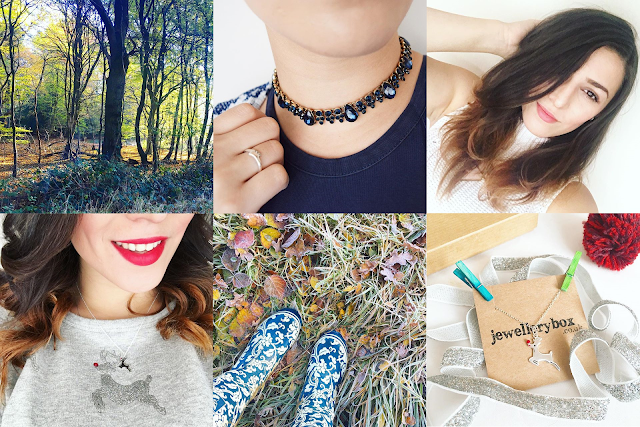 Apart from events, I've been busy with some blogging collaborations you may have seen on my blog this month, and I have a few more I've been working on too. Christmas ones you'll love I hope. Other than that, the only other exciting thing I feel like I can mention is my awesome Busted signed album that I haven't stopped listening to. I'm in the middle of making a Christmas CD for my car so I'll be swapping between the two this month, but it is such a good and chilled album. I really love it and excuse the pun but it is defo an album for the night driver. Suits those midnight cruises or long journeys.